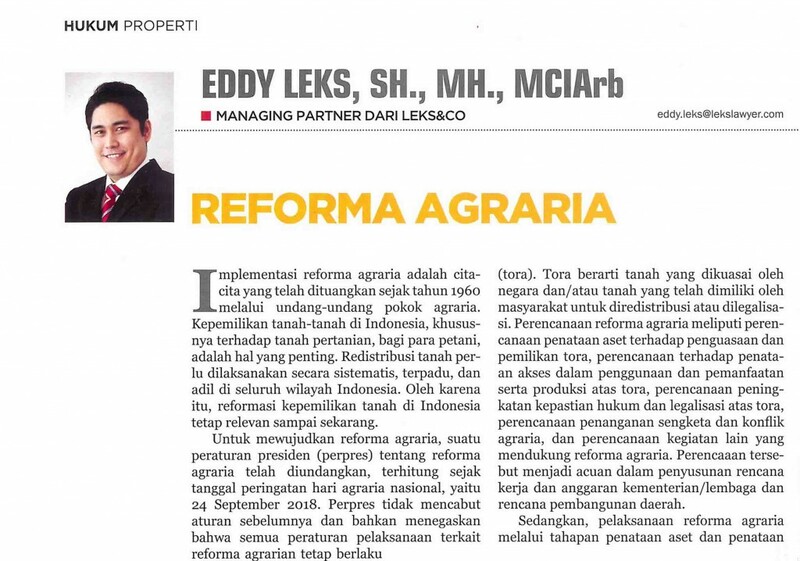 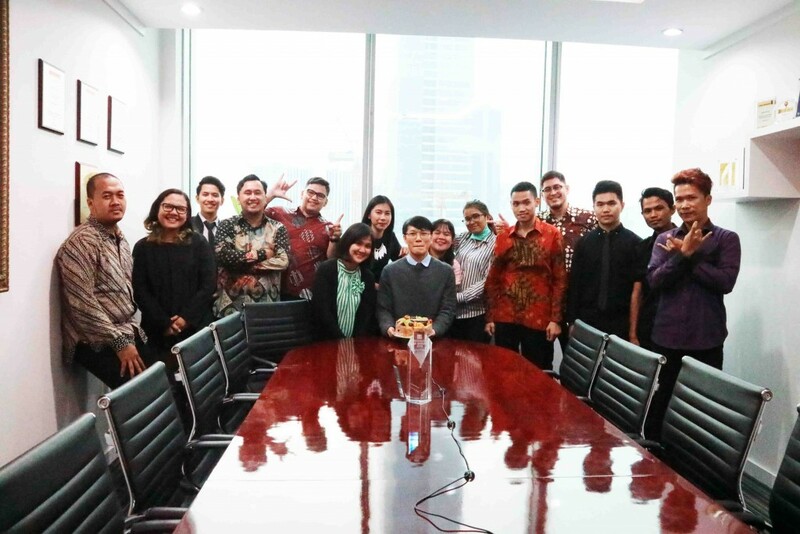 Our CEO of Leks&Co writes an article titled “Reforma Agraria” as published in property section of Property&Bank Magazine. 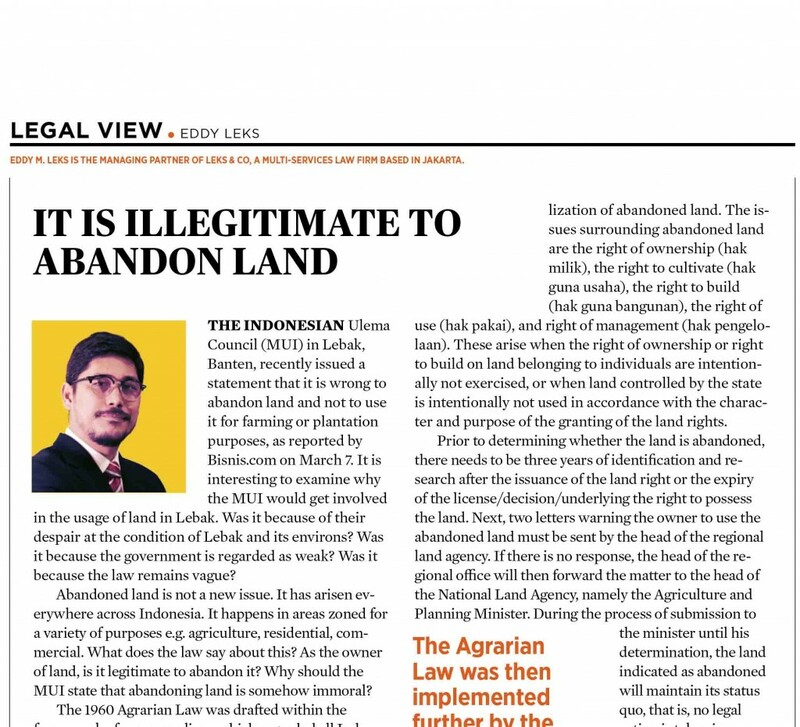 The implementation of agrarian reform is carried out both by the central government and regional governments, through the stages of planning and implementing agrarian reform. 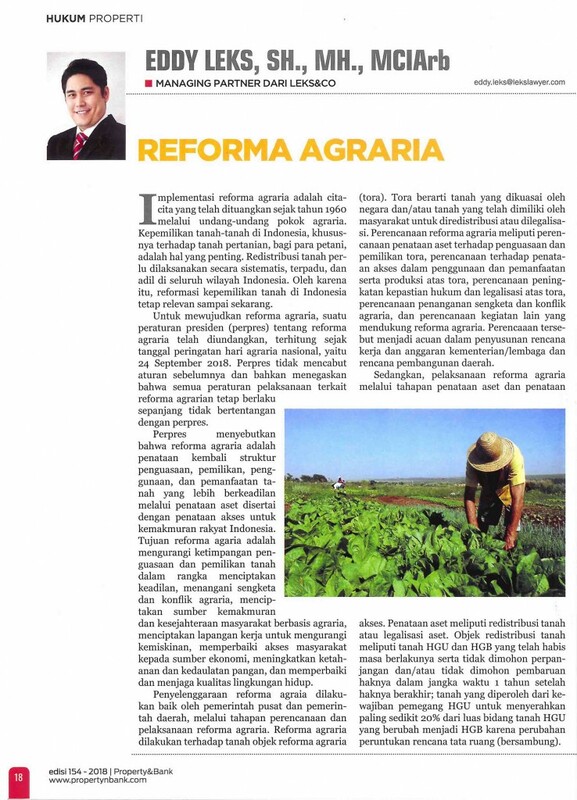 Agrarian reform is carried out on the object of agrarian reform or TORA. 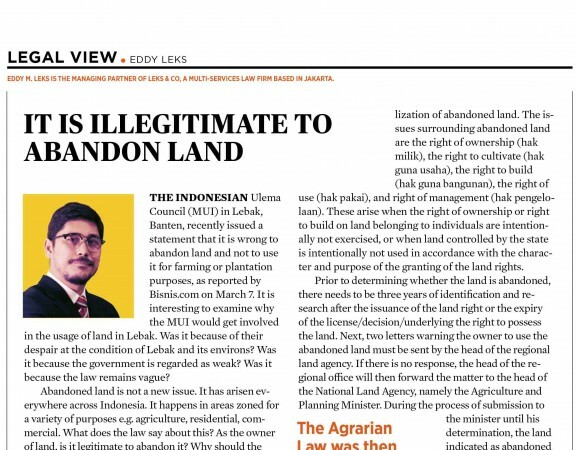 Tora means land controlled by the state and / or land that has been owned by the community to be redistributed or legalized. Agrarian reform planning includes asset structuring planning for the control and ownership of tora, planning for structuring access in the use and use and production of tora, planning for increasing legal certainty and legalizing tora, planning for handling disputes and agrarian conflicts, and planning other activities that support agrarian reform. 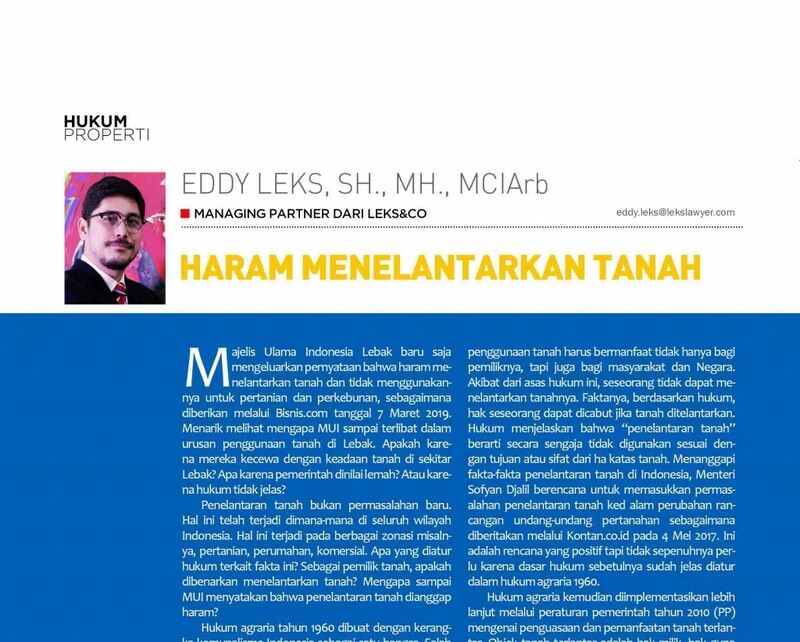 Eddy Leks has been recommended by Legal500, asialaw Profiles, Chambers&Partners, IFLR1000 on corporate and mergers acquisition, construction and real estate, and commercial dispute resolution.